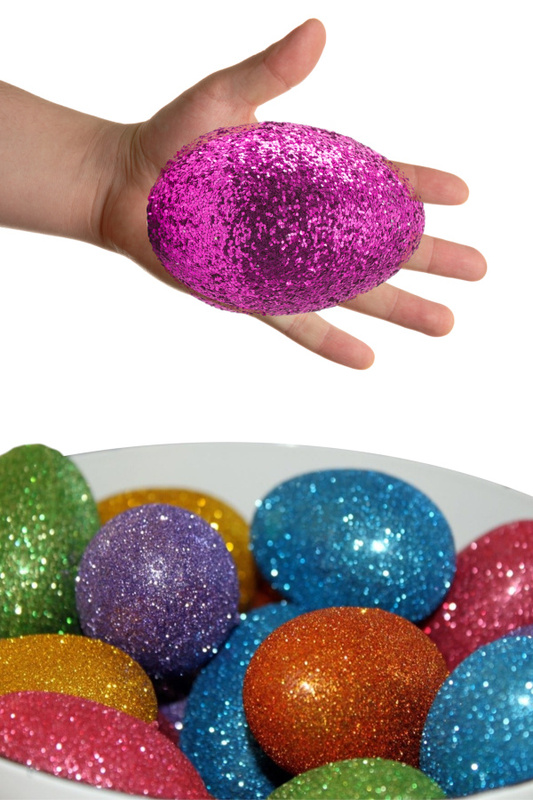 Decorate stunning Easter eggs this Spring using glitter! We absolutely LOVE crafting with glitter in our house! 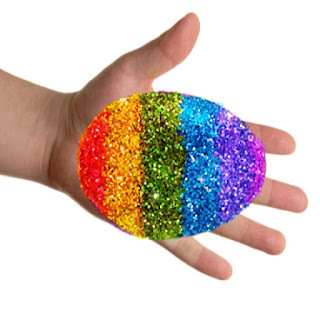 In fact, we often use all the glitter that we can, and these beautifully decorated eggs were no different. 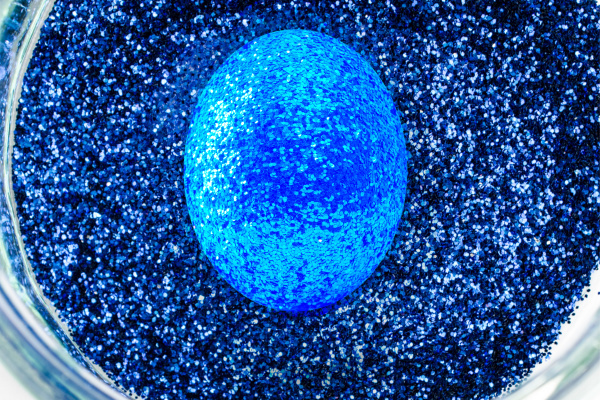 Read on to see how you can make the most sparkly Easter eggs! 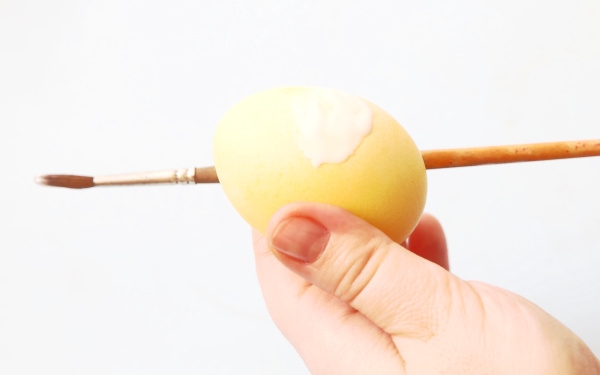 Begin by covering cool, hard-boiled eggs in glue. We used a paint brush to do this, and that worked great! 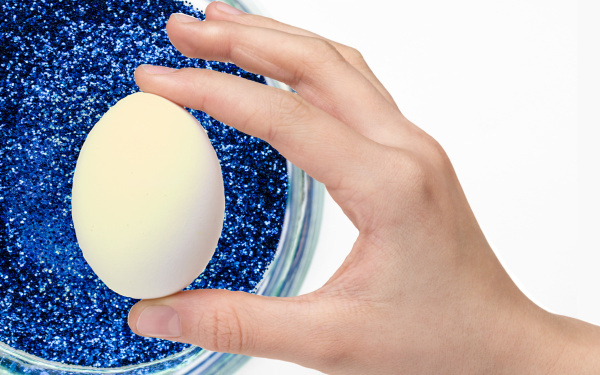 As soon as each egg is covered in glue quickly roll it in glitter. 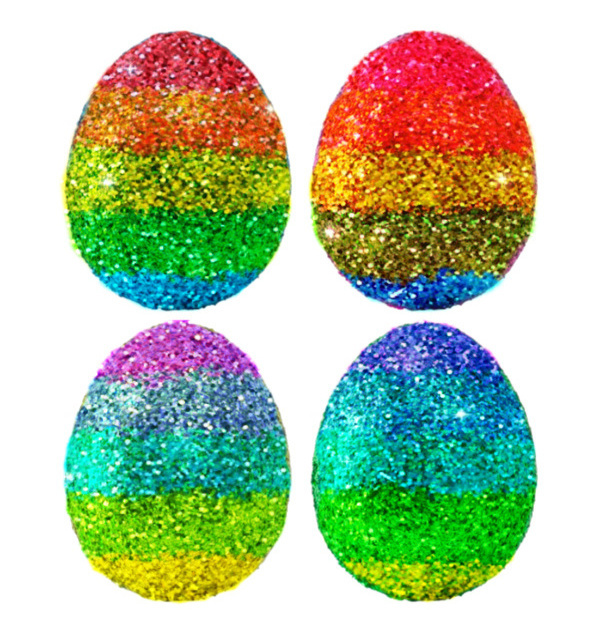 Continue to roll the eggs in glitter until all areas are fully covered. 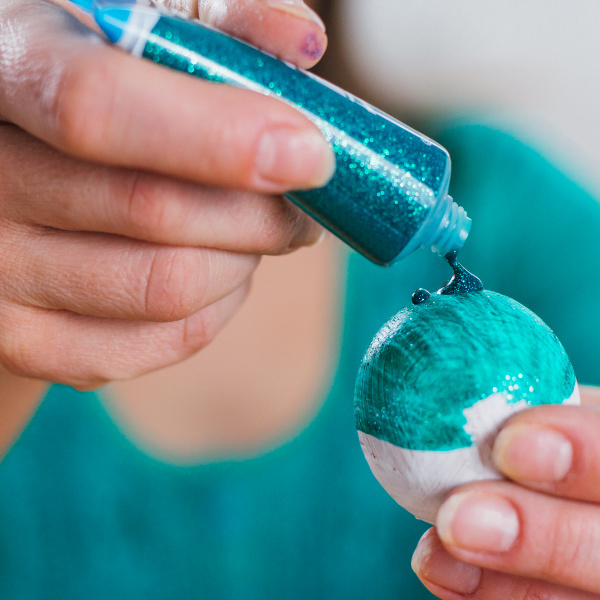 If there are any blotchy spots add a touch of glue to the spot and then sprinkle glitter directly onto the glue. 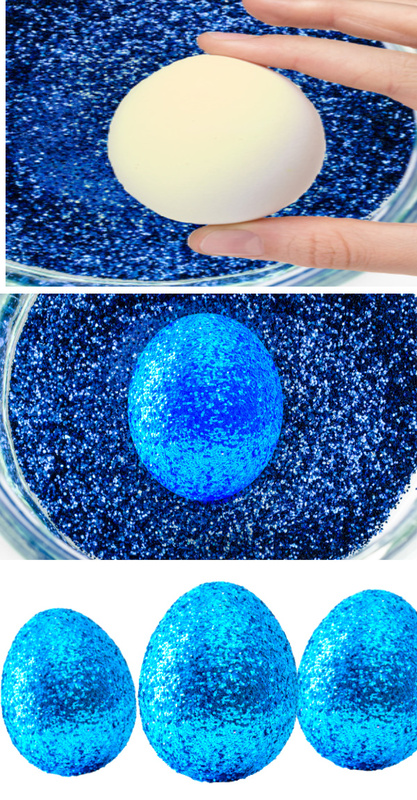 Repeat this process for each egg until all eggs are fully covered in glitter. 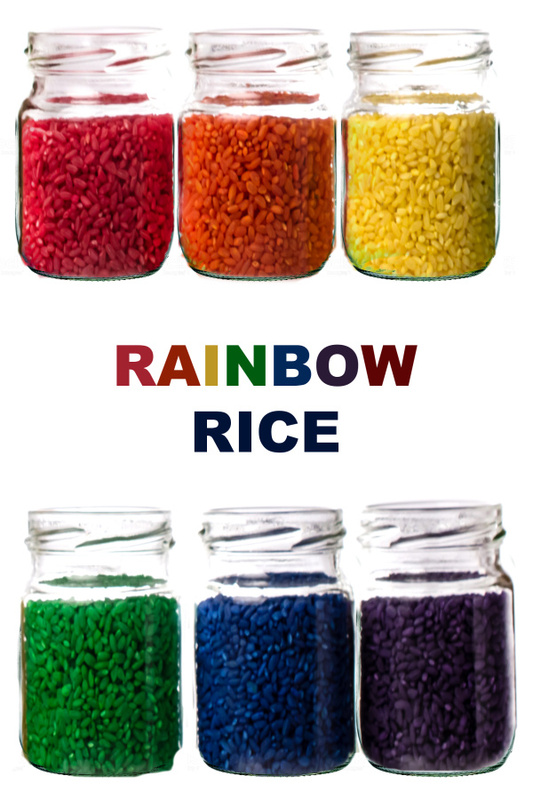 Allow the eggs 4-6 hours to fully dry. 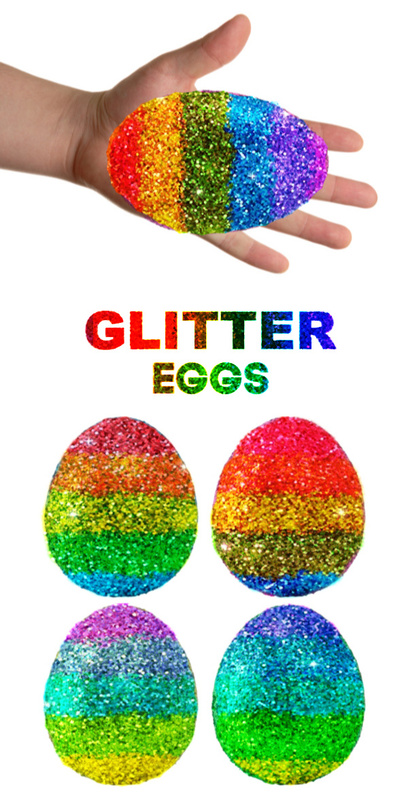 To make your eggs EXTRA sparkly use glitter glue in place of regular glue in this recipe. 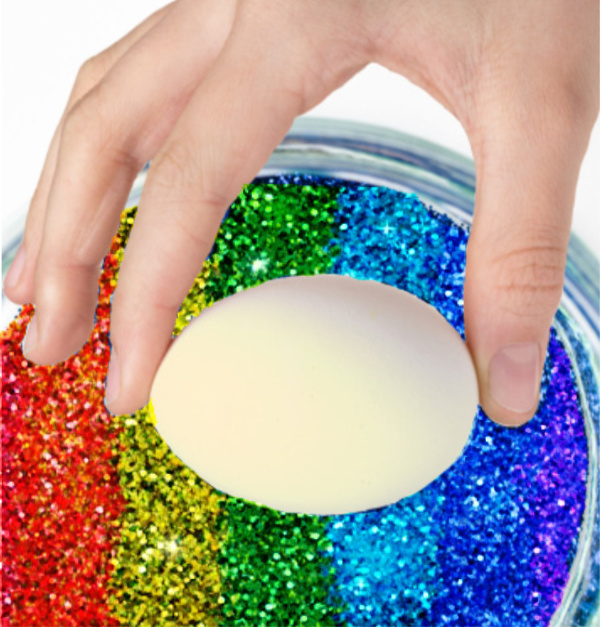 Use the glue to draw fun designs on the eggs before dipping them into glitter. 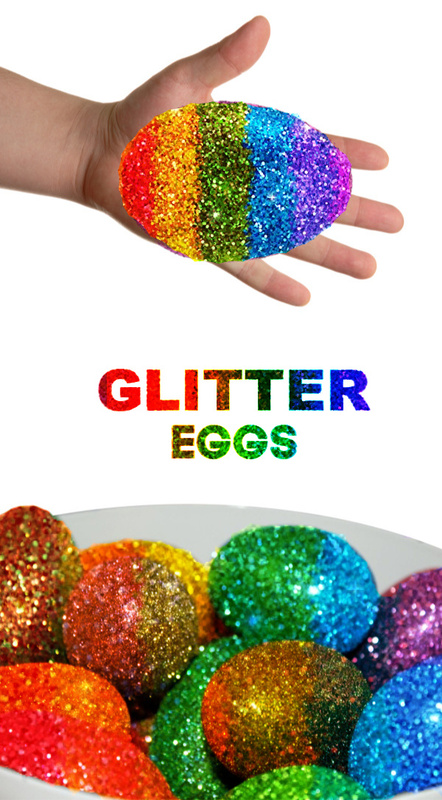 Use a variety of glitter colors to make rainbow glitter eggs. 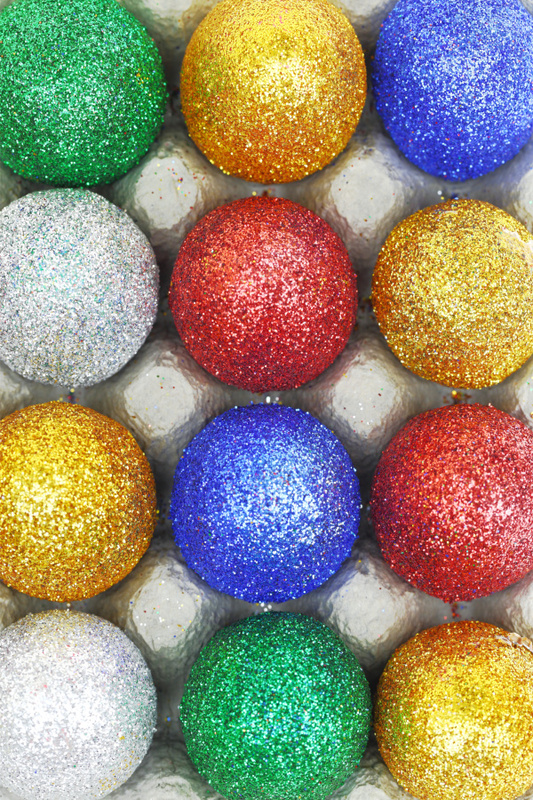 Try this activity using different shapes and textures of glitter. 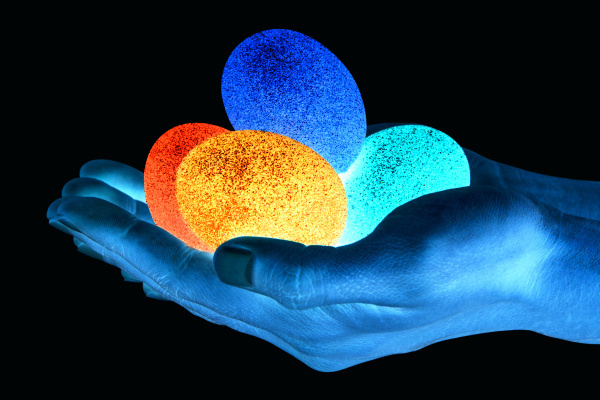 Use glow-in-the-dark glitter to make glowing glitter eggs. 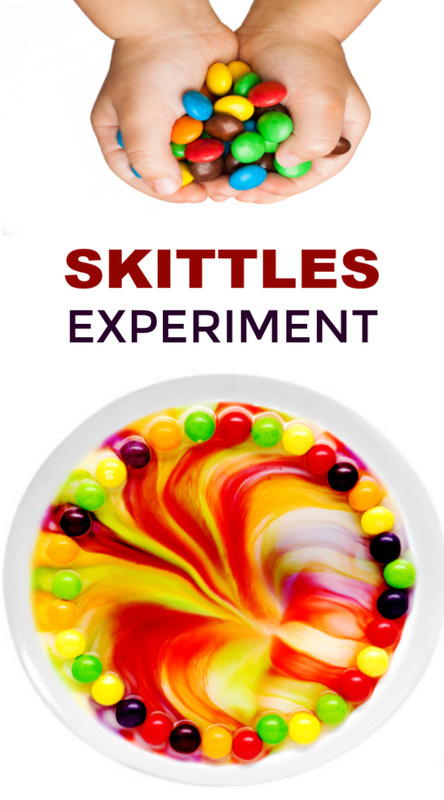 If you enjoyed this post please pin it and share it.